Mellow Mushroom is proud to serve Durham with delicious pizza, hoagies, calzones and salads. Wee use fresh ingredients on all our menu items. 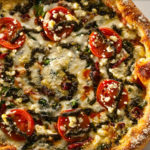 Mellow Mushroom is more than just a pizza restaurant; it is where Durham pizza lovers and beer lovers gather.